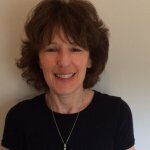 Julia started her career as a public relations and comms consultant in the private sector advising media, professional and B2B companies before moving to the voluntary sector and specialising in working strategically and creatively with small charities and social enterprises. As the chair of two charities in health and social care, she brings a high level of understanding of the challenges and issues facing small not for profit organisations with the expertise and practical help to deliver ways to achieve business growth and sustainability. Julia also project manages the Lloyds Bank Foundation Enhance programme for Eastside Primetimers. Marketing and comms, media relations. Strategic planning, business development, capacity building, mentoring, project management. Supporting a London based mental health charity, strategically and governance via the LSF Fund; producing a 3 year Strategic Plan, Marketing & Comms Plan, reviewing and advising on governance structure and processes. Two year project to set up an infrastructure charity of 15 London based health and social care organisations to facilitate efficiency and sustainability whilst extending the service offer across the Capital. Providing mentoring support annually for up to 10 start-up social entrepreneurs in the London Boroughs of Tower Hamlets and Hackney. Delivering an Organisational & Strengths Review for an advice and training centre in London Borough of Tower Hamlets.